DULUTH -- In recent years, the public has been supportive of products "Made in America." What about the items made in Georgia? On June 8, the Georgia Manufacturing Expo will be held at the Gwinnett Center to display products made in the state. 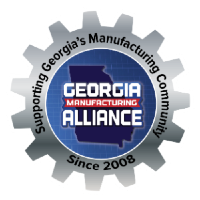 "The purpose of the expo is to celebrate manufacturing in Georgia," said Jason Moss, an organizer of the expo and founder of NetworkingMFG, a support group for small manufacturers.